LUTZ, Fla. -- Look out for the alligators. A bronze statue of a wild horse welcomes golfers to Cheval Golf & Country Club for the start of what will be a wild round. The 18-hole Cheval Golf and Athletic Club (formerly known as Cheval Golf & Country Club) in Lutz, FL is a semi-private golf course that opened in 1986. Designed by Steve Smyers, Cheval Golf and Athletic Club measures 6961 yards from the longest tees and has a slope rating of 140 and a 74.5 USGA rating. The course features 6 sets of tees for different skill levels. Marcus Andrews was visiting from Canada recently and had never seen a gator. He was in Florida to play golf and got a tip that Cheval Golf & Country Club, located right next to TPC Tampa Bay, was a challenging place to play. He was told there was some great scenery and some wildlife. But he was shocked when he got to the par-3 sixth and heard a splash from the lake guarding the hole. "I figured it was a big fish that jumped, then I saw something that looked like a log -- only the log had eyes," Andrews said. "That's when I got out of there real fast. I wasn't even close to the water, but I wasn't taking chances." Cheval, technically, means a horse, and you see a bronze one on its hind legs as you approach the first hole. The horse looks ready to go into battle (maybe against a gator), and you better be ready for a battle at Cheval. The Steve Smyers-designed course plays 7,021 yards from the tips. The first hole is a 562-yard par 5 with a tight green. In fact, all of the greens at Cheval are tight, and the approach shots are long, so it's best to work on your midirons before heading out. Also, water comes into play on 17 of the 18 holes. For those who haven't played Cheval in the past two years, it's almost an entirely new course. Cheval fell into disrepair, so a makeover began two years ago. Tampa locals have been hesitant to come back, but play is picking up after new Bermuda greens were installed. The bunkers have been totally replaced, and a new irrigation system is keeping the course in its best shape in years. "I used to play this course all the time until it just turned out to be deteriorating," Tampa Bay local Steve Rogers said. "It's gotten better, but people are going to hear about this and start coming out. Get it while it's kind of empty. It's a good bargain." 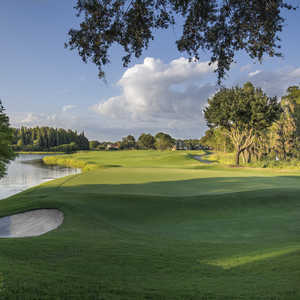 With the new bunkers and the greens in top shape, Head Professional Tom Shea said Cheval is ready to take its place up with the best in Tampa, especially in the Lutz area, where there are at least five courses within a 20-minute drive that hold up against any set of courses in the state of Florida. "Cheval is in excellent shape and we urge people to come on out and try it," Shea said. "It has been completely revamped and it is just in great shape. It is tough, but it is fair, and we do everything we can to make it a fun day." The fairways are wide enough to keep driver in play, and the greens are not too undulating and not too fast. Get the approach onto the green, and birdies are there for the taking. It's important to get off to a quick start, though, as the course gets easier as the round moves along. Following the long par-5 first hole, the second hole is a 427-yard par 4 that has bunkers and water at every turn. The third -- which is the No. 1 handicap hole on the course -- is a 417-yard par 4 with water lining the fairway and sand guarding the green. There are no breaks out there, especially on the front nine. Three of the easiest holes on the course, however, kick off the back nine, including the 10th, a 348-yard par 4 that is a long drive and a wedge. Cheval is about 20 minutes from Tampa International Airport, but there is little lodging close by. The club is next door to the TPC Tampa Bay, so if you are really ambitious, try to pack both of them into the same day and stay about 20 minutes away near the airport. 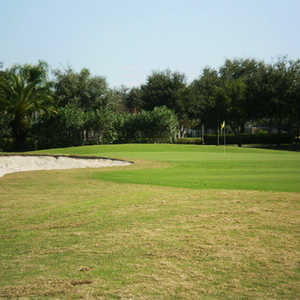 Cheval Golf & Country Club offers a decent challenge with wide fairways and tight greens. But at 7,021 yards from the tips, and with plenty of doglegs, bring your 3-wood and work on your midirons. 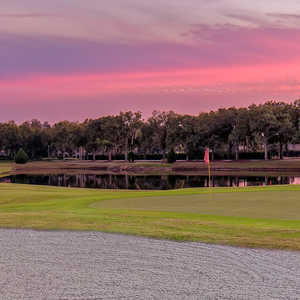 Also, ignore negative comments from people who haven't played there in two years because the course has been completely revamped and can now hold its own with almost any club in the Tampa Bay area.